with very special guest, one of my favorite authors and people, Libba Bray! I hope you’ll be there Monday, March 23, 7pm. I will wear my blue shoes. You can wear your favorite shoes, too. 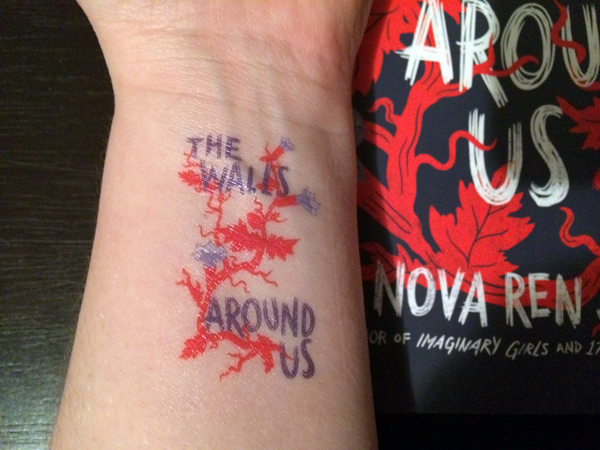 I will have many Walls tattoos to give away. 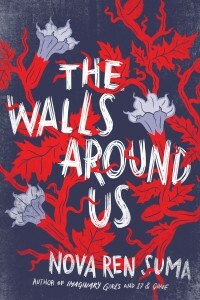 Libba and I will have a conversation about Walls, writing, inspirations, YA, life, the universe, and whatever crazy other things come up, I will do a short reading, we’ll have a Q&A, and then a book signing. If you can’t make the event in New York City but still want a book signed and personalized to you, you can pre-order through McNally Jackson before March 18. I will sign it to you when I’m there on March 23. Yes, they do ship internationally! Hope to see you there! If you’d like to RSVP on Facebook, here is the event page there!